Ecologically minded economists describe resources as “natural capital”. If properly managed, renewable and replenishable resources are forms of wealth that can produce “natural income” indefinitely in the form of valuable goods and services. forms of economic capital that cannot. 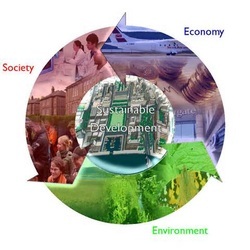 In this unit we will look at the three classes of natural capital, understand how cultural, economic, technological and other factors influence the status of a resource. ​This unit is a minimum of 4 hours. What value systems can you identify at play in the causes and approaches to resolving the issues addressed in this topic? How does your own value system compare with others you have encountered in the context of issues raised in this topic? How do models and/or a systems approach help our understanding of resource use in society? Why do people use non-renewable resources rather than renewable resources? How do environmental value systems influence the use of renewable and non-renewable resources? Outline the relationship between renewable and non-renewable resources and sustainability. How do you think society is likely to change in the coming years? Give reasons for your answer. U 8.2.1 Renewable natural capital can be generated and/or replaced as fast as it is being used. It includes living species and ecosystems that use solar energy and photosynthesis, as well as non-living items, such as groundwater and the ozone layer. Ecosystems may provide life-supporting services such as water replenishment, flood and erosion protection, and goods such as timber, fisheries, and agricultural crops. ecological services such as the flood and erosion protection provided by forests (services). non-renewable resources cannot generate wealth without liquidation of the estate. Removing natural vegetation has a “cost”: Loss of carbon uptake, disruption of water and nutrient cycles and even just the loss of the aesthetic value all have a cost. The difficult part of natural capital is prescribing a “value” in economic terms to the goods and services the biosphere provides. U 8.2.2 Non-renewable natural capital is either irreplaceable or can only be replaced over geological timescales; for example, fossil fuels, soil and minerals. Non-renewable natural capital exist in finite amounts on Earth. Once consumed/used, they are not replaced. Non-renewable resources may have solar radiation as an energy source, but usually only indirectly. Minerals and fossil fuels are classic examples of non-renewable resources. These are considered nonrenewable resources in that their use is not sustainable because their formation takes billions of years. U 8.2.3 Renewable natural capital can be utilized sustainably or unsustainably. If renewable natural capital is used beyond its natural income this use becomes unsustainable. Sustainability is living, within the means of nature, on the ”interest” or sustainable income generated by nature capital. 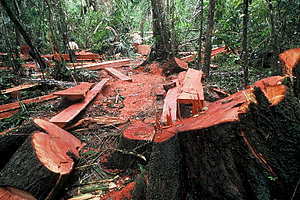 So using the global resources at the rate that allows natural regeneration and minimizes damage to the environment. Some economists may view sustainable development as a stable annual return on investment regardless of the environmental impact, whereas some environmentalists may view it as a stable return without environmental degradation. Consider the development of changing attitudes to sustainability and economic growth, since the Rio Earth Summit (1992) leading to Agenda 21.
ecological land-use to maintain habitat quality and connectivity for all species. sustainable material cycles, (ex carbon, nitrogen, and water cycles). social systems that contribute to a culture of sufficiency that eases the consumption pressures on natural capital. International summits on sustainable development have highlighted the issues involved in economic development across the globe, yet the viewpoints of environmentalists and economists may be very different. U 8.2.4 The impacts of exaction, transport and processing of a renewable natural capital may cause damage, making this natural capital unsustainable. Any society that supports itself in part by depleting essential forms of natural capital is unsustainable. If human well-being is dependent on the goods and services provided by certain forms of natural capital, then long-term harvest (or pollution) rates should not exceed rates of capital renewal. Sustainability means living, within the means of nature, on the “interest” or sustainable income generated by natural capital. U 8.2.5 Natural capital provides goods (such as tangible products) and services (such as climate regulation) that have value. This value may be aesthetic, cultural, economic, environmental, ethical, instrinsic, social, spiritual or technological. Economic value-: value that are determined from the market price of the good and services a resources produce. Organisms or ecosystems that are valued on aesthetic or intrinsic grounds may not provide commodities identifiable as either goods or services, and so remain unpriced or undervalued from an economic viewpoint. Organisms or ecosystems regarded as having intrinsic value, for instance from an ethical, spiritual or philosophical perspective, are valued regardless of their potential use to humans. Therefore, diverse perspectives may underlie the evaluation of natural capital. Attempts are being made to acknowledge diverse valuations of nature (for example, biodiversity, rate of depletion of natural resources) so that they may be weighed more rigorously against more common economic values (for example, gross national product (GNP)). However, some argue that these valuations are impossible to quantify and price realistically. Not surprisingly, much of the sustainability debate centers on the problem of how to weigh conflicting values in our treatment of natural capital. How can we quantify values such as aesthetic value, which are inherently qualitative? U 8.2.6 The concept of a natural capital is dynamic. Whether or not something has the status of natural capital, and the marketable value of the capital varies regionally and over time and its influenced by cultural, social, economic, environmental, technological and political factors. Examples include cork, uranium and lithium. The value of resources changes over time and with various other factors. During the Stone Age, fossil fuels were worthless because the internal-combustion engine had not yet been invented, but arrowheads were very valuable because they allowed people to hunt and therefore eat. In modern times, we need fossil fuels to maintain many of the processes in society (communication, transportation, electricity production), so that fossil fuels have a high economic value now, but because we've developed many different ways to get enough food to eat, the arrowheads are no longer economically valuable. Resources may have different dollar values assigned to them depending on the value that is being measured. Some values are pretty straightforward to measure (i.e. the market value of a mineral traded on global exchanges) while others are more difficult to calculate (How much is a 'beautiful view' worth?). Resource depletion is an economic term referring to the exhaustion of raw materials within a region. Use of resources beyond their rate of replacement is considered to be resource depletion. A 8.2.2 Explain the dynamic nature of the concept of natural capital. ​Cultural, economic, technological and other factors influence the status of a resource over time and space. 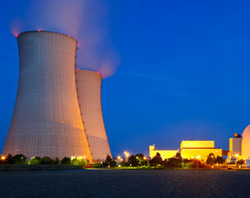 For example, uranium, due to the recently become a valuable resource. What this all means is that resources are dynamic, its status may change, it might become valuable. According to the film, The End of the Line: The World Without Fish, scientists predict that if we continue fishing as we are now, we will see the end of most seafood by 2048. The link is to the 1st of 3 parts on YouTube; you can follow the remaining 2 parts from there. The “Zero Waste” grocery store – A Berlin shop which has developed a sustainable shopping model with the goal of reducing solid domestic waste. There are marked cultural differences in attitudes to the management of natural capital. As resources become scarce, we have to make decisions about how to use them-to what extend should potential damage to the environment limit our pursuit of knowledge? 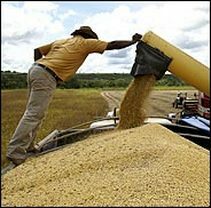 ​Cellulosic ethanol is one of the simplest and least expensive biofuels to make from cellulosic biomass. Most ethanol sold in the Pacific Northwest is made from corn grown in the Midwest. AHB is working to make ethanol more sustainable in the PNW by producing cellulosic ethanol from locally grown poplar trees. Every day, we use materials from the earth without thinking, for free. But what if we had to pay for their true value: would it make us more careful about what we use and what we waste? 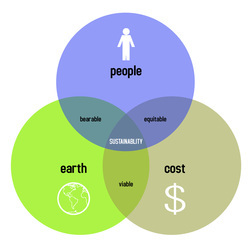 Think of Pavan Sukhdev as nature's banker -- assessing the value of the Earth's assets. Eye-opening charts will make you think differently about the cost of air, water, trees ..
Jonathon Porritt, is an eminent writer, broadcaster and commentator on sustainable development. He is Co-Founder of Forum for the Future, the UK's leading sustainable development charity.